Featuring a contoured shape and a popular lightweight design, these pads feature a 7/8" felt insert that is cut out at the wear leathers for a close contact fit that makes them perfect for barrel racing. Covered with a durable Herculon top that is mold and mildew resistant, quick-drying and easy to clean, these pads have a Merino Wool fleece bottom for added comfort. 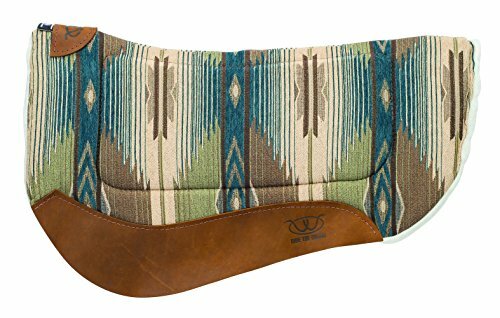 This barrel saddle pad is quilted with a smooth cotton blend featuring 1" fleece padding, non-slip wool felt underlining, suede wear leathers, and a contoured fit that conforms to your horses back. 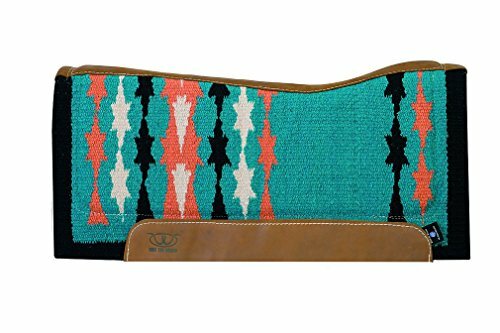 This pad fits most round skirt barrel saddles. Measurements: 27" x 31". 15-1/2" drop length. This pad combines the benefits of our breathable and shock-absorbent SMx Air Ride™ material with OrthoSport™ features to create an unrivaled barrel pad. Additional layers of SMx Air Ride™ material are strategically placed in the dished out areas behind the shoulders of horses with high withers and strong shoulders to create a greatly improved saddle fit from front to back. 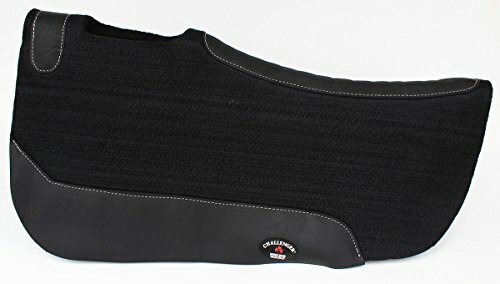 Additional 1/4 inch layers of SMx Air Ride™ material are also added down each side of the spine to relieve pressure from the spine and kidney areas while allowing additional airflow along the horse’s back. 60-Day money-back guarantee/one-year warranty or as required by law. Designed specifically with the barrel racer in mind, this pad by Professional's Choice is layered felt over shock-absorbing closed-cell foam rubber that wont absorb sweat. A layer of SMx Air Ride material is on top, under the saddle bars, and cutouts at the withers and latigos, as well as leather reinforcements along the spine. 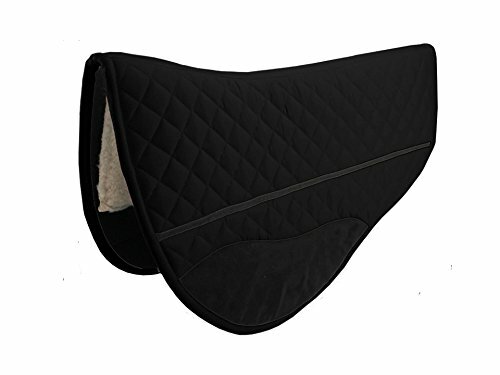 This pad is contoured to fit the horse perfectly so it stays snug and doesnt slip. 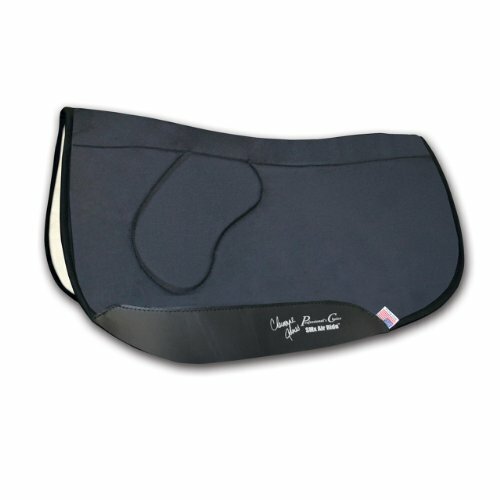 This beautiful black felt saddle pad is perfect for in the show ring or on the trail! 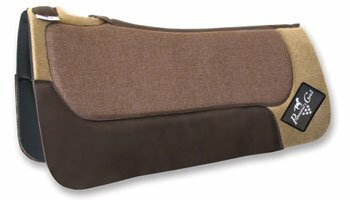 With the brown suede accents, this two-tone coloration makes it easy to match with any horse tack. This pad features silver studs and leather trim that is hand tooled with a floral design. 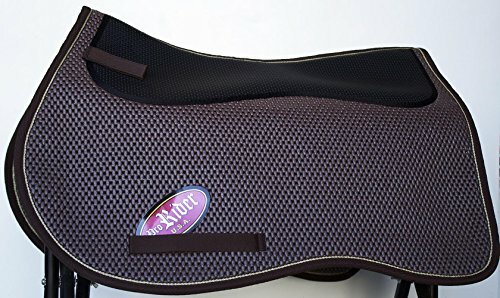 This pad also reduces the risk of galling or rubbing while keeping the saddle in place. 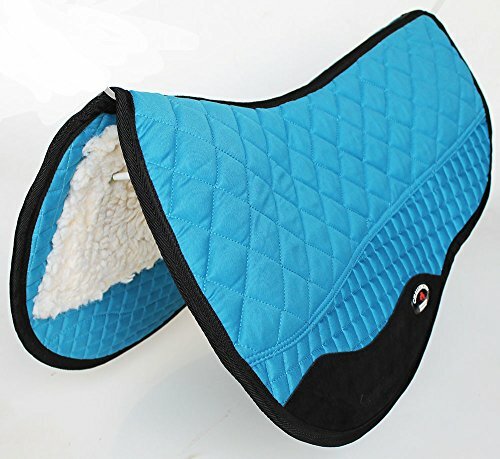 It also conforms to your horse's back for optimum comfort within the first ride. The shock-absorbing felt wicks away moisture keeping your horse cool and comfortable. The two piece construction with a spine channel aids in cooling. The leather spine offers maximum durability with ventilation holes for comfort. 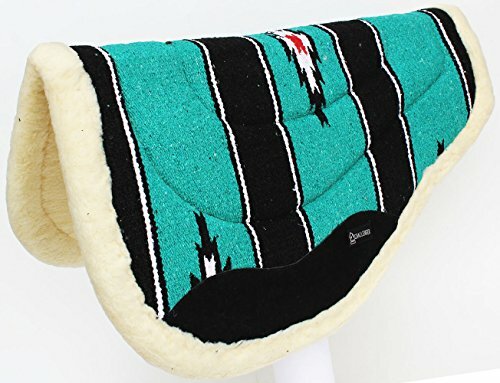 Pad Measurements: Width: 30.5" Length: 32.5" Spine: 30.5" Thickness: 3/4"
Copyright © Wholesalion.com 2019 - The Best Prices On Barrel Saddle Pad Online.